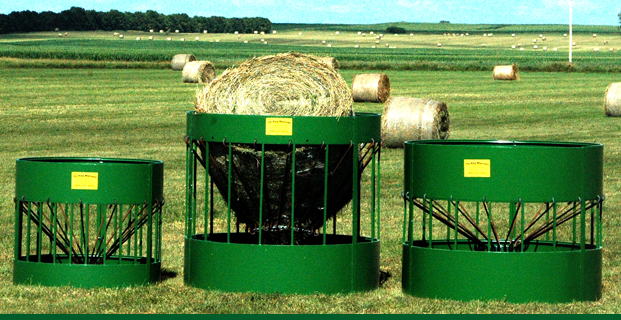 Round bale feeders are a simple way to organize your farm and keep the messy hay in check! 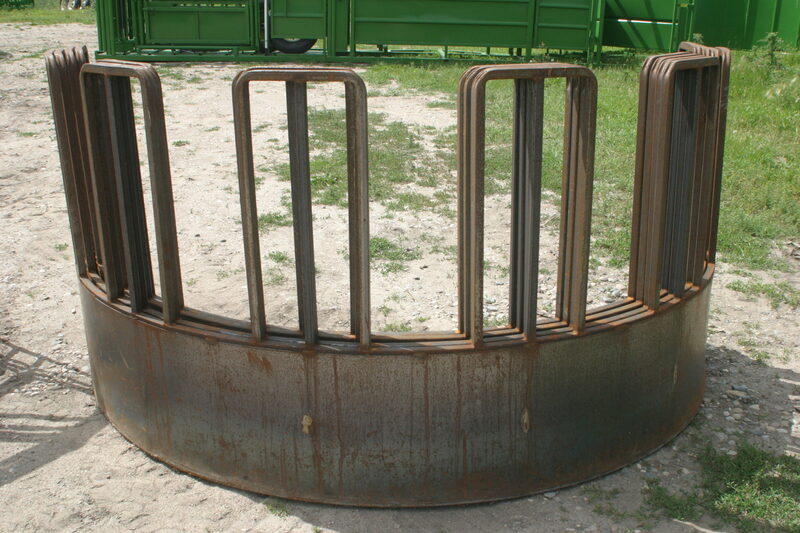 We offer round bale feeders (regular or skirted) for use with cattle. All of our panels, gates, skirted feeder panels add usefulness to your farm . 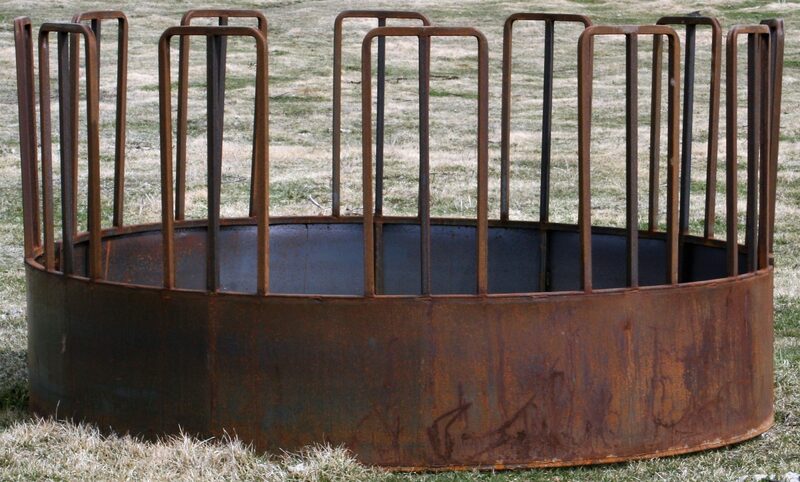 Our horse feeder (tombstone style) shown below only comes skirted. You can use bolts to connect the halves or weld them together since our bale feeders come in two piece units. • Suitable for bulls – Weight 185 lbs. 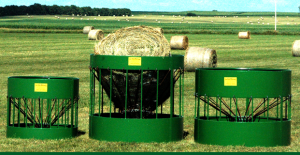 The bale feeders come with a 5 year guarantee against animal damage. 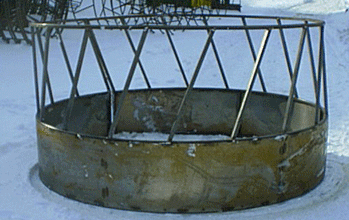 Customers can bale feeders year round. 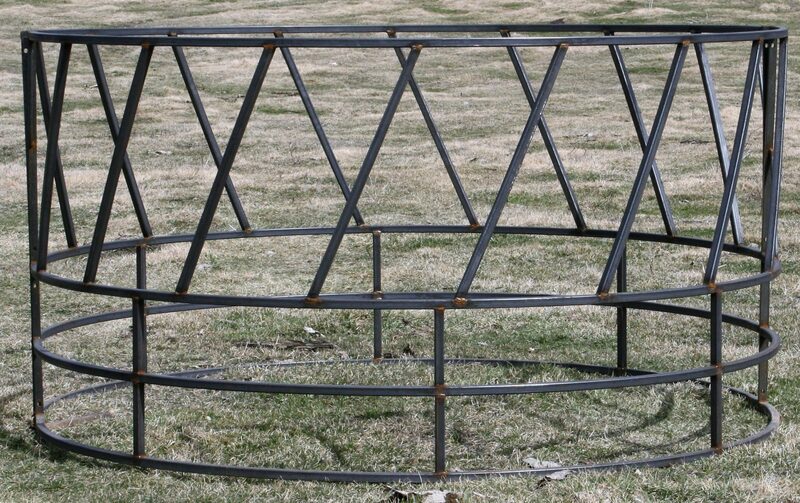 We are also an authorized dealer of The Hay Manager feeders. 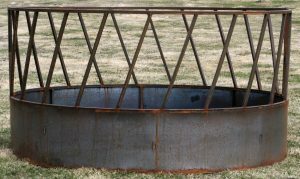 Along with all of the other equipment needed for raising cattle or horses, bale feeders are high up on the list of important things. Bale feeders protect the hay bale from being trampled on and leaving them fresh to be used only as food for your cattle or horses. 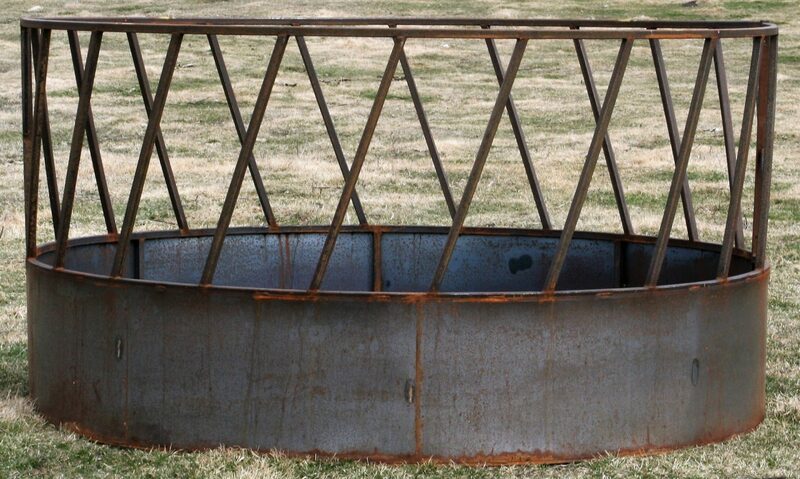 However, there are different types of feeders, such as horse round bale feeders and cattle round bale feeders. Each of these types allows for greater accommodation for the respective animal. 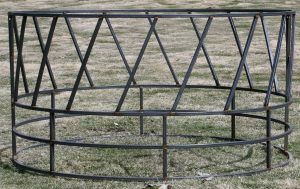 Selecting a round bale feeder for your livestock will help keep the hay out of the mud. This will be the best way to make sure you get the most out of the hay you for your horses and cattle. Therefore these bale feeders are built tough. 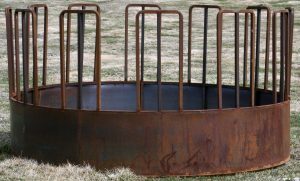 Heavy-duty feeders enable them to stand up to the rough life inside the pen. Contact us with your questions or for a quote. We love talking about our equipment. We use bale feeders on our own farms. Save time and money with Real Tuff’s feeders.